As spring is here, I thought I would change my focus from hot chocolate recipes to iced tea recipes. My husband’s family grew up on iced tea, they literally had pitchers of it in the refrigerator. I found this all-new and exciting when I got married. My mother in law would literally fly her tea bags in from London, we are talking about 20 years ago, so obviously, the internet and Amazon had changed that need for that. But, let’s talk about iced teas, there are so many different flavors available on the market. Literally now in the supermarket, they have an entire (half ? ) aisle dedicated to teas. And, they are healthy that the soda alternatives. When we travel, my kids go crazy for different brands and flavors of iced teas. It seems that every region has their own flavors. 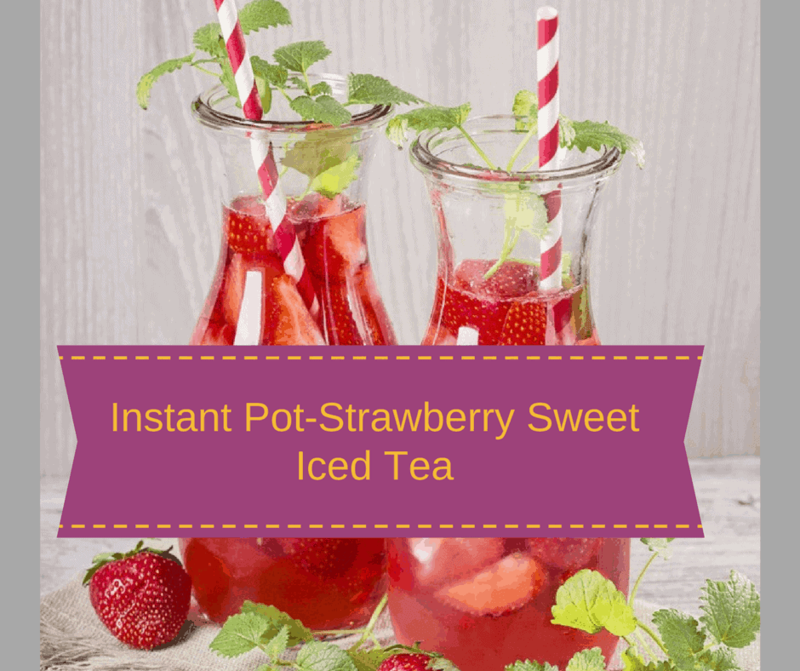 So, why do I brew my ice tea in the Instant Pot? Because it’s easy, and I literally can put it in, do the dishes, and return to it later. No more boiling the water on the stove, trying to remember it. It’s easy, and isn’t why the majority of the Instant Pots were purchased? There are many health benefits of drinking tea, some of them are the high levels of antioxidants, which help the body fight off infections and diseases, has less caffeine than coffee, tea may reduce your risk of heart attacks and strokes, etc. And one of the most important to me is that it tastes really good. 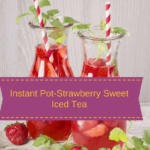 So, this week, if you are looking for great and different iced tea recipes, stop by. and check out my other recipes while you are here. 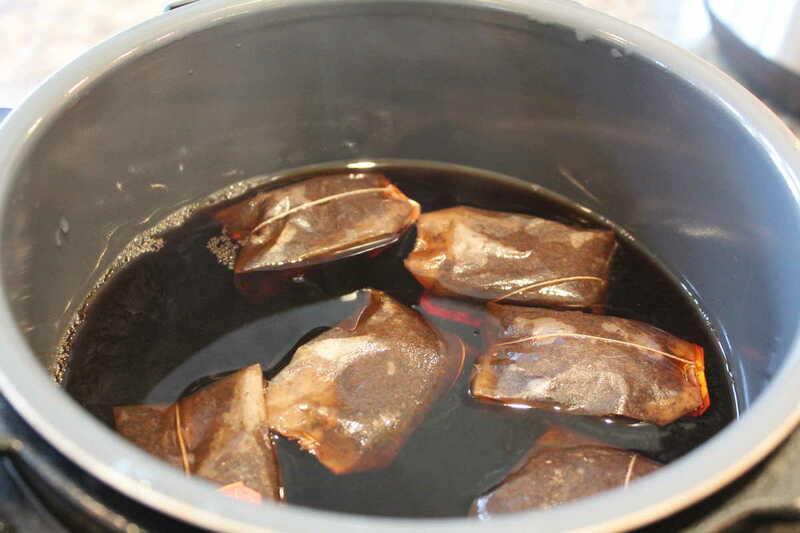 Start by placing your tea bags into the Instant Pot. I used Lipton’s Strawberry Tea Bags. 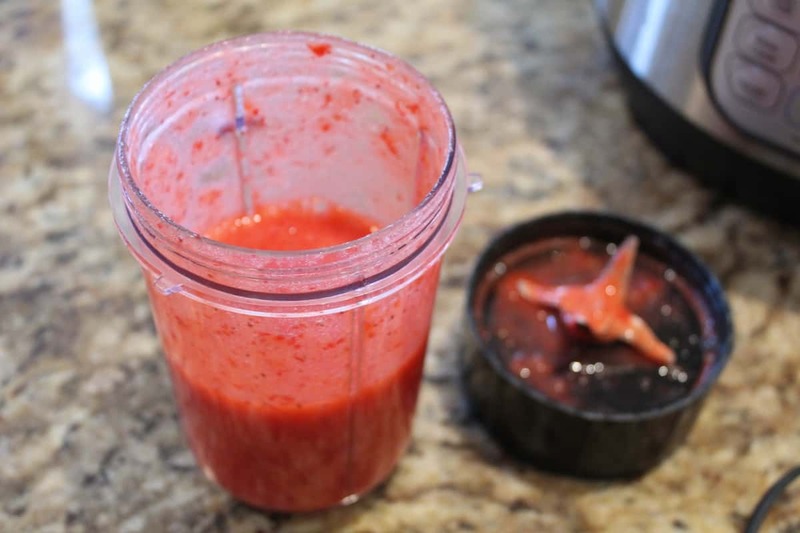 Then in your blender or Magic Bullet (Which, I love) blend up the strawberries. you only have to wash these two things, it will make your life so much easier. Strain the strawberries. Using a fine strainer. Your tea is done. This is what it looks like. 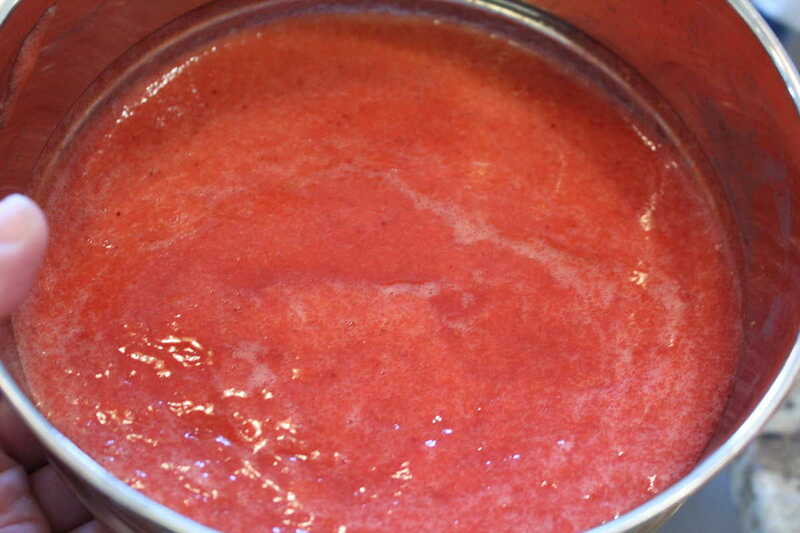 This is your strained strawberries. Now you just have to mix the three things. 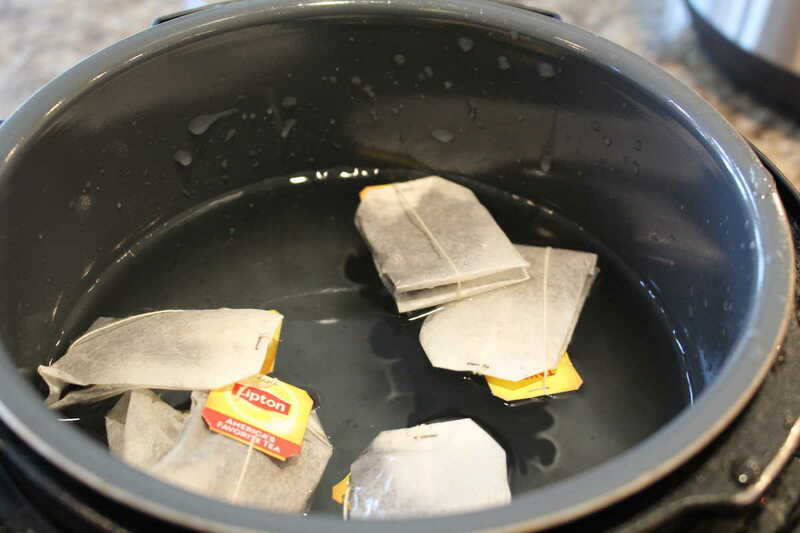 Start by adding your tea bags and 6 cups of water to the Instant Pot. 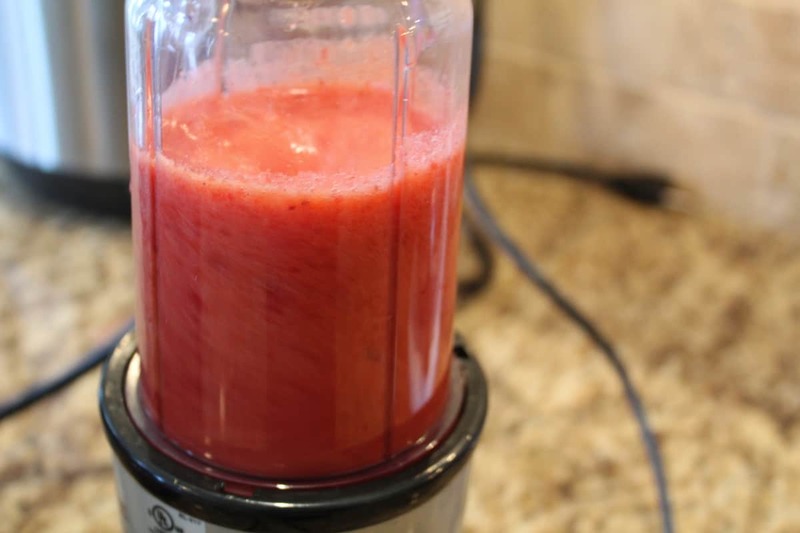 Add the lid, and then set the manual high pressure to 2 minutes. When the 2 minutes are up, let it naturally release. 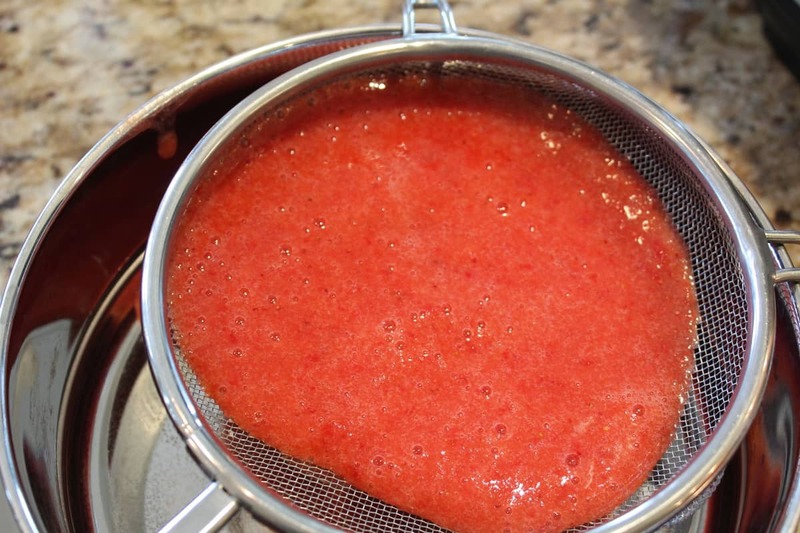 Strain them through a mesh strainer, use the back of the spoon to get the most of the strained strawberries you can. Then when the tea has been brewed, mix the brewed tea, with the strained puree, sugar, and mix in the additional 4 cups of water. Refrigerate until the iced tea is cold. 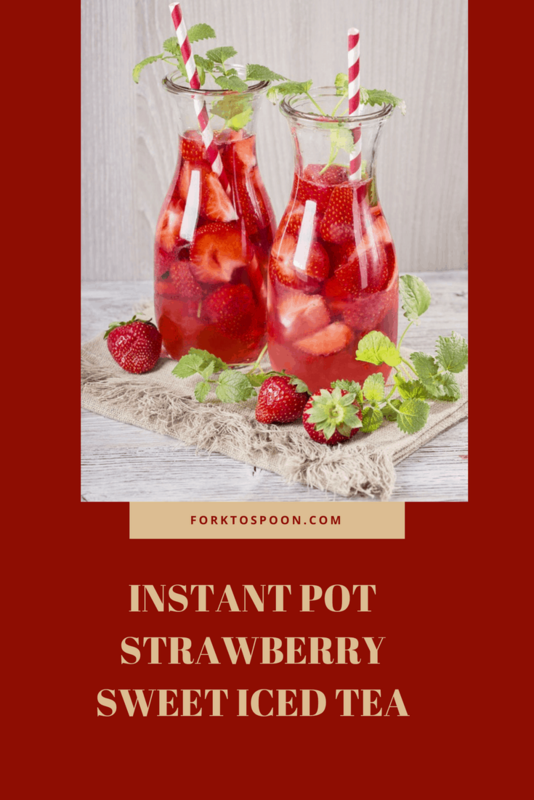 Then pour into glasses, serve with ice and garnish with extra strawberries, basil, or mint leaves.